Do you always find yourself lamenting over how you have so little time but yet so much to do? For most of us, time is a luxury and instead of pursuing our interests during our free time, we spend that time sleeping and recovering the sleep debt that we incurred from work exhaustion. With so much on your plate, you would also have little time to suss out activities and things that you can fill up your weekend with. And before you know it, your free time has eluded your grasp and the new work week begins. But that is what we are here for; to share with you the latest happenings in Singapore and exciting activities to participate in for a fruitful weekend. 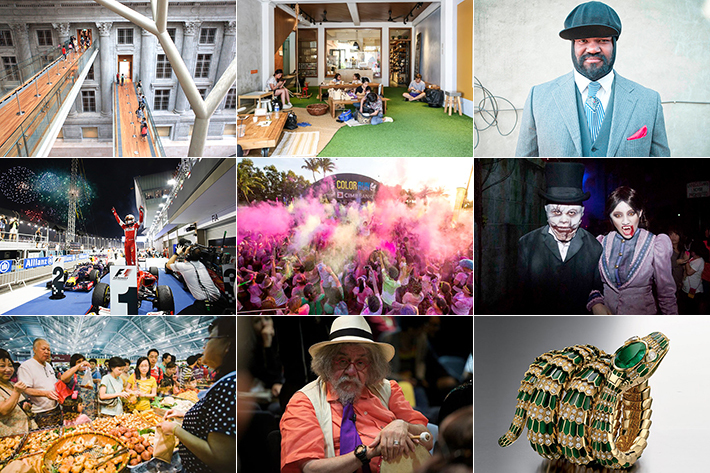 Here are 21 Events In September 2017 In Singapore for those who have no life. A free exhibition at the Singapore Philatelic Museum, enter a world of fairy tales and magic through the collection of stamps from all over the world at A Little Magic Exhibition, taking place from 26 August 2017 to 25 September 2017. There will also be interactive and hands-on exhibits and this is a great place to bring your children for a weekend of fun. Following his successful workshop in 2015 on the Neutral Mask and Greek Tragedy, Philippe Gaulier returns with another workshop for theatre enthusiasts – Masked Play and Moliere. During the workshop, Philippe Gaulier will introduce participants to various types of masked theatre with Commedia Dell’arte Masks in his exploration of Moliere’s famous comedy of manners, The Miser. Registration takes place from 10 July 2017 to 14 August 2017 and costs S$380 per pax for the master class and S$20 for the open class. Do you love all things jazz? On 29 September 2017, Gregory Porter makes a return to Singapore to charm you inside and out with his soulful singing. Even if you aren’t familiar with jazz music, why pass up on the chance to listen to one of the most celebrated jazz musicians of the generation? Early bird tickets start at S$108 for free seating and S$118 for free standing. Advance tickets start at S$118 for free seating and S$128 for free standing. There is no denying how much we love Plain Vanilla’s cupcakes, but this round, a retail showcase pop-up by the Sowing Room will be making its appearance at Plain Vanilla Bakery’s flagship store at Tiong Bahru. The Sowing Room is a social enterprise that creates beautiful works from textiles and fabrics that have been made by women who have suffered abuse and those who are at-risk of facing such treatment. These women are taught invaluable skills of sewing and paid a fair wage for their work, so do come down on 02 September 2017 to hear more about the cause from the founder, Jolene Teo. 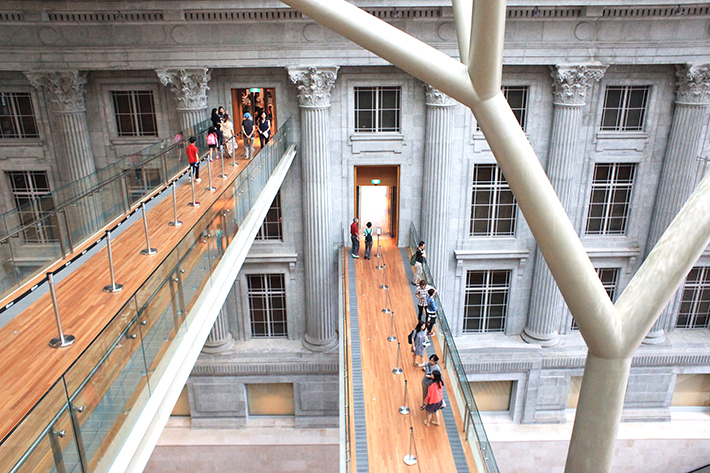 Coming to the ArtScience Museum on 19 August 2017, SERPENTIform is an exhibition which explores many aspects of the snake motif across time and space. The exhibition will also examine the impact of the snake motif on jewellery, arts, design, fashion, decorative arts and philosophy. Public guided tours are available on 24 September 2017 from 11.30am to 12.15pm and 29 September 2017 from 3pm to 3.45pm. Mandarin Guided Tours will be taking place on 02, 09, 16, 23 and 30 September 2017 from 4pm to 4.45pm and the meeting point is at the exhibition entrance on Level 3. There will also be the chance to be immersed in a hands-on experience at this exhibition, which is in line with Family Fridays. On 01, 15 and 29 September 2017, bring your family to Spin-a-snake: Make Your Own Zoetrope Animation at the Rainbow Room Basement 2. Do note that participation will be at S$15 per pax. On 9 September 2017, be thrilled by the students of Bukit Batok Secondary School who will be reciting their poems and stories inscribed on flowers in The Sonnet In Blue. Admission is free. As part of their Eternal Asia Tour 2017, Michael Learns To Rock will be live in Singapore on 02 September 2017 at the Singapore Indoor Stadium. Prided as one of Denmark’s biggest pop acts, their Eternal Asia Tour 2017 is set out to stand apart from their other tours. This round, there will be 2 stages in the show, with the B-stage placed opposite the main stage so that Michael Learns To Rock can engage in close interaction with fans who may be seated further away from the main stage. Tickets start at S$78 and range to S$168, exclusive of booking fees. Are you an avid music lover? Make sure to mark West Side Story down in your calendar, as this is one musical you must not miss. Called ‘The No.1 Greatest Musical of all Time’ by the Times, UK, West Side Story is inspired by Shakespeare’s love tragedy, Rome and Juliet, set in the era of 1950s New York. Tickets start at S$55, and they can be purchased here. Now, this is what you have all been waiting for the entire year. Since its debut entrance in Singapore in 2008, the Singapore Grand Prix has experienced plenty of success and remains as one of the most anticipated events every year. The circuit of the race encompasses the use of public roads around the Marina Bay area which promises exciting views of the race against the backdrop of the spectacular cityscape. But what most people are looking forward to are the entertainment acts included in the concert lineup this year. This includes Calvin Harris, Arina Grande, OneRepublic and The Chainsmokers. Tickets start at S$128 for Zone 4 Grandstand tickets and go up to S$2,128 for Turn 3 Premier Grandstand tickets. For the first time ever, the Asia Fighting Championship 2017 is a brand new concept targeted to unite different nations where sporting talents can display their skills on a singular platform. There will be top champion fighters from Korea, Macau, Malaysia and many more, and they will be pitted against our own local sportsmen. Tickets start at S$58, exclusive of booking fees. Hosted by West Symphonia, Children’s Disney and DreamWorks Delights is as simple as it sounds – An afternoon at Botanic Gardens with the mesmerizing sounds of Disney classics from the Prince of Egypt, Frozen, Mulan and more. All you have to do is bring along your camera, picnic basket and picnic mat and you’d be set for the day! All you have to do is bring along your camera, picnic basket and picnic mat and you’d be set for the day! Admission is free. From 29 September 2017 to 29 October 2017, it’s time to get your freak on and start celebrating Halloween early at Halloween Horror Nights 7. This is one of Singapore’s most popular Halloween events and rightfully so because you will be in for a spine-chilling experience. This year, the main icons of the event are cruelty, deception, malice, manipulation, narcissism, perversion and obsession i.e. the vices that we regularly face in life. This is where your nightmares will come to life so be cautioned that this event is not for the faint-hearted! Early bird tickets are selling at S$55 (promotion ends on 05 September 2017) and Maybank card holders have a special early bird promotional rate (until 05 September 2017) of S$50 per ticket, which comes with a free 22oz Coke. Turning 5 years old this year, Meta Conversations: Tech and Humanity is inviting members, partners and the community to be part of their celebrations. This year, they have planned a series of events and activities and they will be commencing the festivities with a conference on the first day of SWITCH by SG Innovate. But if you are not familiar with Meta Conversations, it is a series of thought-provoking conferences supported by Impact Hub Singapore. This round, the focus of the conversation will be on technology and humanity, with particular regard to the topic of innovation and social responsibility. Early bird tickets are available at 20% discount and these tickets start from S$176. Looking for the latest designs and information on home furnishing? Then make sure that you drop by My Home Grand Furniture & Reno Expo 2017. There will be award-winning interior designs firms present to guide you along and there will also be completed projects and special packages exclusive to the show. Aside from the above, expect a wide range of high-quality furniture and popular international mattress brands being sold at the show. Admission is free. The annual Sands For Singapore Charity Festival returns from 08 September 2017 to 10 September 2017 at Marina Bay Sands. A kid-friendly event, highlights of the festival include a performance by The Sichuan Orchestra of China Concert on 8 September 2017 and Sundown Picnics on all three days. Do note that registration is necessary for each of the events and more details of the scheduled events can be found here. Taking place at SCAPE this year, the Speakshow Fest is a 1-day arts-for-impact festival which seeks to celebrate talented youths advocating for worthy social causes. The Speakshow Fest will entail the highly anticipated SPEAKSHOW 2017 competition, a thrilling instalment of Remix Showdown and also an all-day ‘blackbox bazaar’. Admission is free but registration is necessary. Did someone say 30% savings at top restaurants around Singapore? Yes, you got that right and lucky for you, the Singapore Restaurant Festival will still be going on until 30 September 2017! The theme of this year’s festival is “Flavours of Singapore” and there are more than 50 restaurant brands and 200 eateries where you can enjoy a delightful selection of Chinese, Western, Middle-Easter, Italian cuisine and more. Well, what are you waiting for? Various restaurants around Singapore. For more information, please visit www.singaporerestaurantfestival.com. Organised by Bell Publishing Ltd, the Tea & Coffee World Cup 2017 is the only international trade show that brings together a comprehensive collection of the industry’s offerings of tea and coffee. Conference presentations and tastings are free of charge. However, the Anne Cooper and Australian Tea Master workshops will cost S$15 for pre-registration or S$20 if purchased on the day. 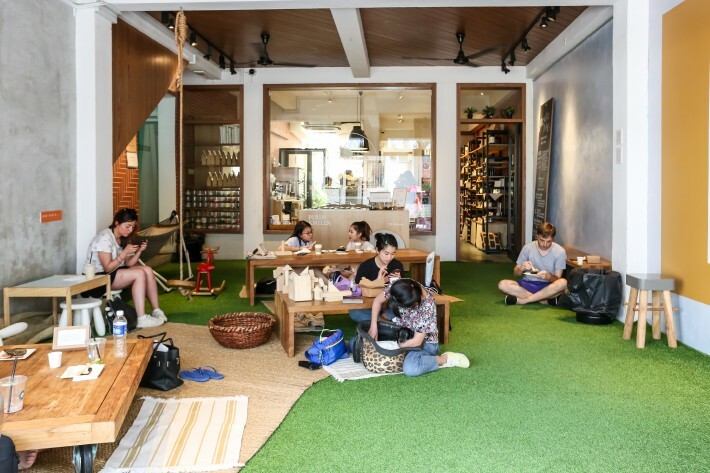 Roasting classes will also cost S$25 for pre-registration or S$30 if purchased on the actual day. 26 September 2017 to 28 September 2017. 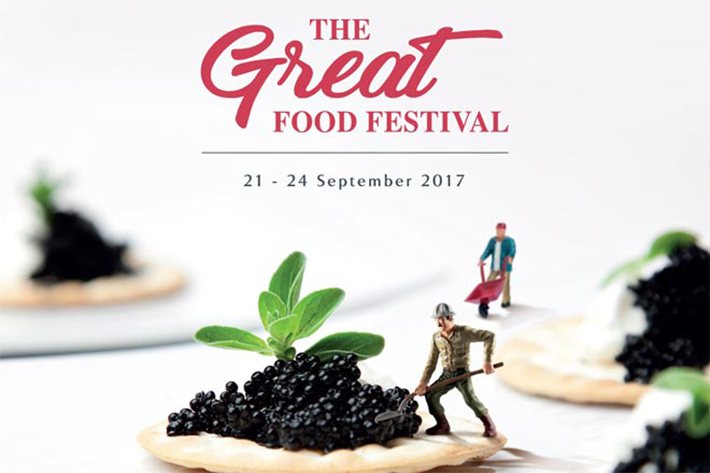 Hosted by Savour and Resorts World at Sentosa, it is time for you to plunge into one of the greatest food festivals in Singapore – The GREAT Food Festival. Some highlights of the festival include tasting more than 100 signature dishes from Michelin-starred and award winning restaurants, the chance to sample over 300 tantalising desserts and pastries and also the opportunity to attend complimentary celebrity chef master classes and hands-on workshops! And if you happen to have a UOB Debit/Credit Card or RWS Invites Card, you can get tickets at 10%off! Otherwise, tickets start at S$78 per pax and admission is free for kids 12 years and below. The World Food Fair returns to the Singapore Expo for its 14th edition and it is time to get your stomach ready and dive into a gastronomic heaven. Expect more than 200 local and international food and beverage establishments to be present at the fair. The Color Run is back on 23 September 2017 and like all other times, it is going to be a glowtastic 5K party from the start to finish! 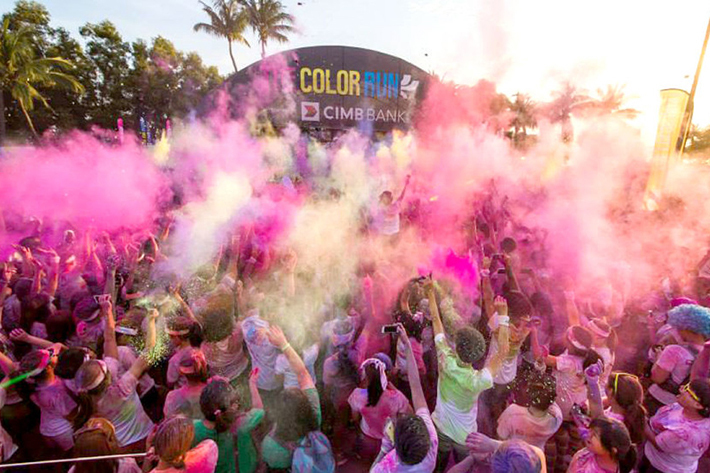 Presented to you by CIMB Bank, participants will wear a black light headlamp which will capture UV reactive powder during the colour throws. The colour zones will be glowing, and so will the night attractions. Are you excited yet? Registration is required and prices start from S$70 for a regular colour runner, S$35 for children between 4 years old to 12 years old. If you plan on participating as a family, you can do so for S$175.